Providing great service isn’t just in our mission and motto — it’s in our DNA. 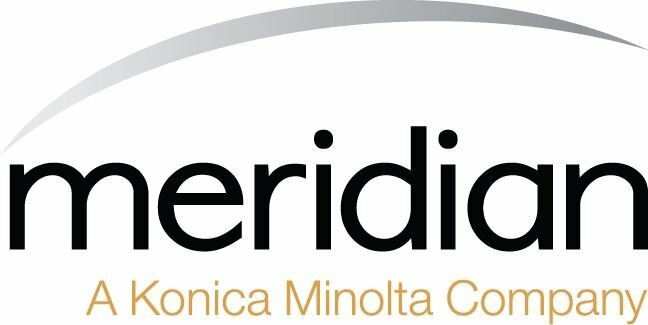 As a wholly owned subsidiary of Konica Minolta, partnering with Meridian offers you the resources, stability and peace of mind of a $10billion global corporation. Yet, our local management, customer service-driven mission, family-oriented culture and roots as a previously employee-owned company create the personal experience of a local small business. Since Meridian was founded in 1985 in Alexandria, VA, our top priorities have always been to help our partners use technology to work smarter — not harder — and provide the best customer experience possible. Today, Meridian is an established and stable company, headquartered and managed locally in the DC metro area and backed by Konica Minolta, one of the largest and most awarded business technology innovators in the world. With the ability to manage the entire lifecycle of all your technology infrastructure, we specialize in managed IT services and document solutions — in an era of constantly evolving technology, unproven startups and expensive competitors — for thousands of clients representing all industries. We’re experts at integrating the systems that drive today's modern office, so you can count on Meridian for all the IT hardware, software, services and strategic direction you need to run your business successfully. 50% of Meridian's Senior Leadership team is made up of women, and 48% of Meridian's Management team is female. On average, Meridian employees have over 15 years of experience in their fields, and an average of more than 5 years employed by Meridian. Our team comes from more than 20 different states and 3 different countries. 22% of Meridian employees speak Spanish. Driven by a passion for exceeding customer expectations, over 9 out of 10 clients recommend working with Meridian. Here's what they have to say. We’ve got the winning combination: a dedicated team of experts, best-in-class technology solutions and a uniquely customized approach. 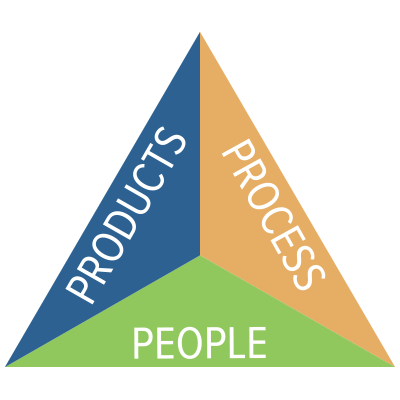 Our People: The Meridian Family is a team of technology experts and industry-leading partners who each has a stake in your satisfaction. Every Meridianite embraces a collaborative, roll-up-our-sleeves-and-get-it-done attitude toward solving customer problems. Our Products: There’s no one-size-fits-all solution to office technology. As a brand-agnostic partner, we customize solutions based on your needs and budget from our full suite of hardware, software, and services. Integrating best-in-class technologies from partners like Konica Minolta, RISO, Nuance, Square 9 and more, we help you control costs and maximize the business impact of your technology investments. Our Process: Through decades of experience, we've learned the best place to start solving any business challenge is always our Assessment Process. First, we document and analyze your existing office technology environments. Then, we walk you through the results and identify high-impact, data-driven opportunities for improvement. Regardless of whether you partner with us, the assessment report is yours to keep — free of risks, obligations and fine-print. Engage our experts for a custom office technology assessment. We’ll equip you with the necessary information to get your technology working for you! Technology has come a long way in the last three decades, and so have we. Here are a few of our favorite moments that shaped our company. 1985 Founded by Terri Sullivan as ‘The Fax Pros,’ with a primary mission to deliver great service to our customers. 1995 Began offering maintenance contracts, marking our move away from break/fix repair services, a precursor of our Proactive Service Methodology. 1997 Invested in our first ERP system with a real-time web-based customer portal and ticketing system, increasing our operational efficiency in field service, ordering, inventory and more. 1999 Changed the business name to ‘Meridian Imaging Solutions,’ symbolizing our early initiative to offer a solutions-centric, consultative approach. 2000 Began tracking service and customer satisfaction metrics — a turning point in the business focus from just talking about providing great service, to leveraging technology to measure and improve our customer service experience. 2004 Received official authorization to sell and service Konica Minolta products, the start of an extremely collaborative and successful dealer/manufacturer relationship. 2006 Shifted from a la carte network support services to full-service contracts, assuming the role of outsourced IT department and Network Operations Center (NOC) for select commercial clients and solidifying our Managed IT Services division. 2007 Received our first 5-year GSA Contract under Schedule 36, classified as a small, woman-owned business at the time. 2009 Moved to our current Headquarters facility, centrally located at the I-95/I-495/I-395 Interchange to allow efficient travel to client sites throughout DC, Northern Virginia and Maryland. Housing management, sales, service and operations together under one roof creates a seamless customer experience and allows for rapid decision-making in the interest of keeping our customers happy. 2011 Dropped ‘Imaging Solutions’ from the logo, shifting focus to our motto: Meridian Means Service. 2012 Initiated the Meridian Means Service Awards, an employee recognition program that reinforces our culture of consistently going above-and-beyond to deliver great customer experiences. 2015 Celebrated 30 years in business. Exceeded $41million in annual revenues and 125 full-time, regular employees. Inc. 5000 Honoree for the Sixth Time. 2016 Became a Konica Minolta Company. Tripled total on-site warehouse capacity at our headquarters — allowing us to stock more of the equipment, parts and supplies our customers need, thereby minimizing turnaround time for sales orders and service tickets. 2006 Shifted from a la carte network support services to full-service contracts, assuming the role of outsourced IT department and Network Operations Center for select commercial clients and solidifying our Managed IT Services division. 2009 Moved to our current Headquarters facility, centrally located at the I-95/I-495/I-395 Interchange to allow efficient travel to client sites throughout DC, NoVA and MD. Housing management, sales, service and operations together under one roof creates a seamless customer experience and enables rapid decision-making in the interest of customer satisfaction. 2012 Initiated the Meridian Means Service Award employee recognition program, which reinforces our culture of consistently going above-and-beyond to deliver great customer experiences. 2015 Celebrated 30 years in business. Exceeded $41 million in annual revenues and 125 full-time, regular employees. Inc. 5000 Honoree for the Sixth Time. Over the course of our 30+ years in operation, we've worked hard to build lasting relationships and valuable expertise, culminating in our recent acquisition by Konica Minolta in March 2016. Moving forward, Meridian will continue to operate as usual, under the same local Leadership and Management teams, with zero disruption in service to our clients. We will continue to honor existing service contracts for all manufacturer brands (including Ricoh, RISO, Lexmark, etc. ), including use of genuine OEM parts and supplies. While Meridian's change in ownership has opened doors to many new capabilities and resources, greatly benefiting both Meridian clients and employees, we will always hold on to our small business roots, strong sense of community and customer-centric attitude and mission. "The most positive and salient differentiator with Meridian is their model for service, exceeding expectations at every turn. This exceptional level of service is constantly delivered, resulting in a high level of customer satisfaction from our team."